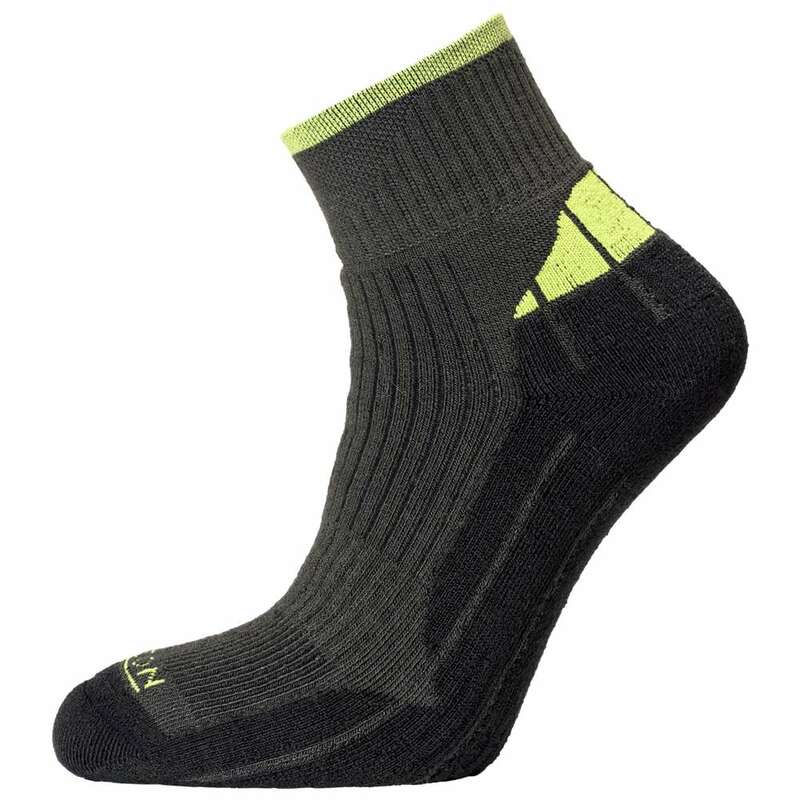 These lightweight, fully cushioned and breathable Horizon Performance Coolmax Quarter Socks are ideal for walking, hiking, cycling and many other activities. The use of Coolmax and Isolfil makes them excellent at wicking moisture away from your feet, keeping them comfortable and reducing the risk of blisters. Let's start by looking a little closer at the technical fabrics that have been used for these socks - they have been made mainly from a mixture of Coolmax® and Isolfil® polypropylene. The fast wicking and quick drying properties of these two fabrics help keep your feet cool and comfortable. The sole is lovely and padded using the Isolfil for extra comfort and performance. Horizon have also added Cordura® at the heel and toe for extra durability and to prevent holes in high friction areas. All of these fabric choices ensure these sports socks perform exceptionally. Now on to the fit. 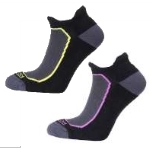 There is nothing worse than poor fitting socks - this is why Horizon have designed these quarter length socks with a sport flex welt, elastic grip sections and with Lycra content to make sure that these socks stay in place while you are enjoying your sport. Horizon Socks are based near to us in Dorset and are experts in designing socks. We are confident that these socks will offer you an excellent combination of comfort and breathability, making them great for all types of sports and activities.